Auto accidents are, sadly, a fact of life, though there are obviously things you can do to protect yourself from becoming a statistic. 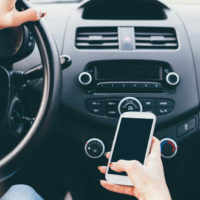 One issue that has become more and more relevant in recent years is the issue of distracted driving, and Pennsylvania roads have seen firsthand the damage this practice can do. If you have been the victim of a distracted driver, you may be entitled to compensation for the injuries you have suffered. There are several types of behavior that can be seen as distracting to drivers. Mothers may become distracted while wrangling their children. Teenagers may talk on the phone, fiddle with their GPS, or daydream. Older people may lose focus or daydream. People simply do not grasp that even a small moment where their eyes are not on the road can lead to danger – taking one’s eyes off the road for 5 seconds is similar to driving the length of a football field with your eyes closed. By far, the most common distracted driving behavior is texting and driving. For whatever reason, statistics on distracted driving show that the trends are fairly steady. Statistics from the National Highway Traffic Safety Administration (NHTSA) show that both visible cell phone headset use and visible manipulation of handheld devices remained fairly constant, even though the fatality count from distracted driving continues to rise – the 2016 total of 3,450 deaths due to distracted driving is the highest yet recorded (where the data has been released). Because this is such a persistent problem nationwide, most states have made their own laws to try and tamp down on distracted driving, especially on texting and driving. Pennsylvania has a texting ban which is slightly more narrowly defined than many states’ laws, It is not illegal to talk on the phone, whether by holding your phone or using a headset – but it is illegal at all times to send or read a text message while operating your car. It is also a primary offense, meaning that law enforcement personnel do not need any other reason to pull you over (in some states like Florida, texting and driving is a secondary offense, meaning that a policeman would need another, more pressing reason to stop you). If you are caught texting and driving, you are assessed what is called a summary offense, meaning that no points will be added to your drivers’ license, but you will be fined, as well as being responsible for any other fees and court costs. It does add up – especially for younger drivers, who may not make as much money or have access to resources the same way older drivers would. The hope is that someone who is fined for texting and driving will stop and think twice before doing it again – doing so can save lives. If you cause an injury to another because of distracted driving you may be held personally responsible to pay punitive damages to anyone to whom you cause injury. Can A Pennsylvania Distracted Driving Lawyer Help You? If you are injured by a distracted driver, call Needle Law immediately. We can help you get the money you deserve to put you back to where you were before you were hurt.